Ten (10) is the magic number for us this year. Apart from celebrating our ten years of changing lives, we cooked up something new and exciting for everyone. We have shared with you different stories about our experience in Kenya. The service that we do and how beautiful the country is. Our experience there is indeed life changing, not only for the people there, but also for us. 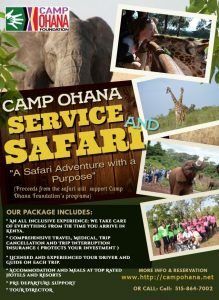 The program offers a rare and unique 10 day opportunity to be a part of a safari adventure and also gives a chance for participants to interact with the children at Camp Ohana Village. Happy New Year from the men and women behind the Camp Ohana Foundation! 2018 was a momentous year for us as we commemorated the 10 years of our foundation. 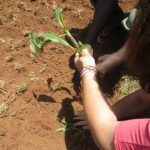 The highlight of our decade long existence was our tree planting program which aimed at restoring the lost forests of Kenya. This is a continuing project and is still part of our agenda for this new year. In 2019, expect more life changing projects at the village. We have a lot on our plate, and we will be sharing that with you in the coming months. For now, we continue to appeal for your support in all the programs we are running both at Camp Ohana village and Camp Ohana Campus. We have the Clean Water Program, the Play program, the Connect program and the Nourish program among others. Our hearts are filled with so much gratitude for standing by with us through the years and help us make the impossible, possible. We look forward to your continued patronage, and we at the Camp Ohana Foundation will double our efforts to be able to improve more the lives of our brothers and sisters in Western Kenya. 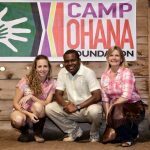 It has been my greatest honor and privilege to be a part of Camp Ohana Foundation and watch the transformation and impact our work has had on the children we serve. I would like to share with you our journey. 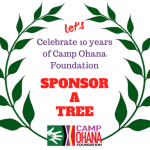 Together let us reminisce and look back at how Camp Ohana Foundation has transformed through the years. In commemoration of the 10-year celebration of Camp Ohana Foundation, we will be launching the first “Camp Ohana Photobook.” This photobook takes you on a 10 year journey from when we started the Foundation. Over the past three (3) months, our dedicated team of Camp Ohana volunteers have been going through tons and tons of photos to see which ones would best narrate the Camp Ohana story. We have captured a lot of magical moments and we are eagerly look forward to sharing these special moments with you. 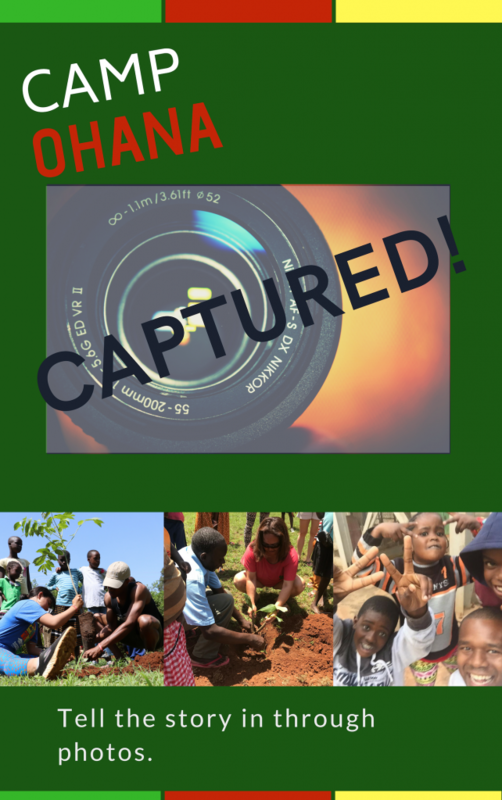 The photo book will be made available for purchase through our website www.campohana.org it will also be available as an ebook and finally it will also be available on Amazon. I will send you a note as soon as the photo book is available. During the first quarter of the year, Camp Ohana volunteers from Canada, Hawaii and Iowa visited Camp Ohana Village to commemorate Camp Ohana Foundation’s 10th Year Anniversary and support the foundation’s tree planting program. As you very well know, the tree planting program is our flagship project for the year under the currently running Camp Ohana Protect program. The support and pledges we received is overwhelming, and we are overflowing with gratitude. We encourage you to continue spreading the word so that more people can be made aware of our efforts. 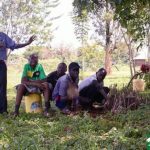 We are geared towards planting more trees to reintroduce displaced trees as a result of deforestation. Additionally, we are also teaching the children at Camp Ohana Village, how to care for their environment. We have incorporated modern technology at Camp Ohana Village, using digital tablets as a tool to enhance learning. These digital tablets are used to further the children’s education and awareness of the different trees, species and the importance of preserving and protecting our environment. We still have a long way to go. However, if we continue to work together as a team, we will achieve our common goal.